Season 14 will premiere on October 11th and it will air on Thursday nights at 8pm. 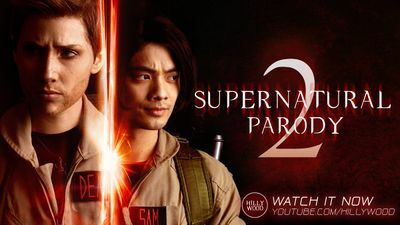 Content Notes: This entry endeavors to provide some information on the content of Supernatural episodes and this website, that can be used to assist fans in curating their experience of the Show and our fandom, and the Supernatural Wiki. This list is by no means exhaustive. 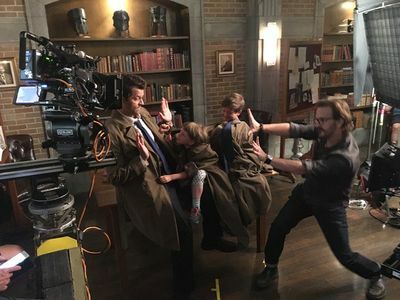 Having directed episodes 2 and 6 (currently in progress) of Supernatural in Season 14, Richard Speight has announced he will direct an episode of Season 3 of Lucifer in mid October. After being cancelled by the Fox Network, the series has been picked up by Netflix for the coming season. Star Tom Ellis has a guest at the JIBLand Conventions in Rome for the last two years. The Season 13 DVD and Blu-ray was released on September 4, 2018. The special features include commentary by Phil Sgriccia, Bob Berens and Kim Rhodes on 13.10 Wayward Sisters, and Jensen and Danneel on 13.13 Devil's Bargain. Misha Collins had a star named for the #SPNFamily. 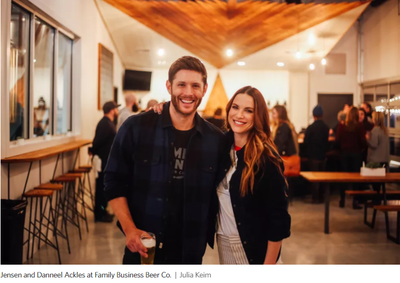 To help Jensen train for his upcoming Random Acts E4K marathon aka the Bad Idea Tour, Jensen and Danneel are holding a workout party at SoulCycle in Austin on September 15, 2018. They'll be hosting two SoulCycle classes to benefit Random Acts and Out Youth Donate to support these causes. You can donate to support people with Downs syndrome, through the fundraising page for Jensen's nephew Levi for the Annual Dallas Buddy walk. Fans can donate to support Supernatural's First Assistant Director Kevin Parks on the Annual Ride to Conquer Cancer. This year's ride will be in memory of producers Kim Manners and Cyrus Yavneh who both died from cancer.